Lauren and Matt tied the knot early January of this year. 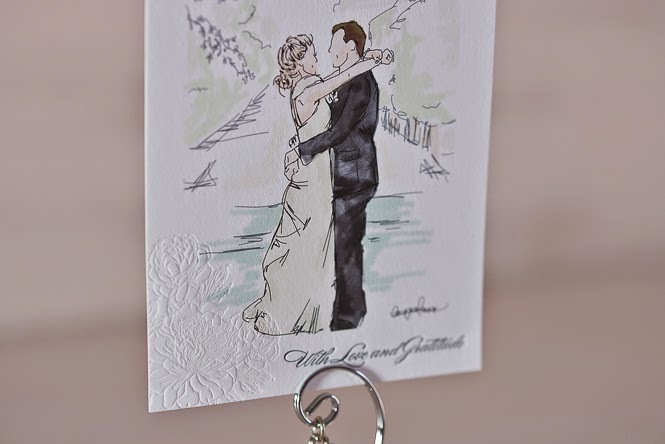 Lauren is a bride from Australia that I had the joy of working with her on her Letterpress Wedding Invitations back in 2012. 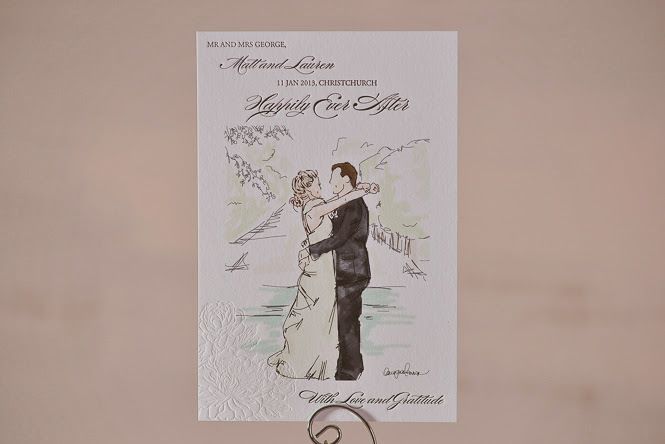 After she got married, she contacted me again and was interested in ordering Letterpress Thank You Cards. I was excited to hear from her again and was eager to print them. She mentioned that she had one of her wedding photos made into an illustration and wanted to include these in her Thank You Cards. She e-mailed me the photo and I absolutely fell in love! It’s not everyday that you see something so cool like that. It looked so soft and romantic. I loved every bit of it. I got to thinking, that photo plus letterpress? Oh boy, this was going to look great! I’m so excited to share this with you. Please enjoy! I took her illustration that was emailed over as a jpeg into Photoshop and inkjet printed the images onto the cardstock. After doing so, I oiled up my trusty ol’ C&P letterpress machine and started printing the blind peony image onto the illustration. Then I inked that bad boy up with black ink and printed the text above the image. The letterpress detail on the cardstock just tied everything altogether so nicely! I loved running my fingers across the peonies. The depth, the details, it all just felt right. I also love how the illustration itself had so many little details as well; the different shades of green, the leaves. 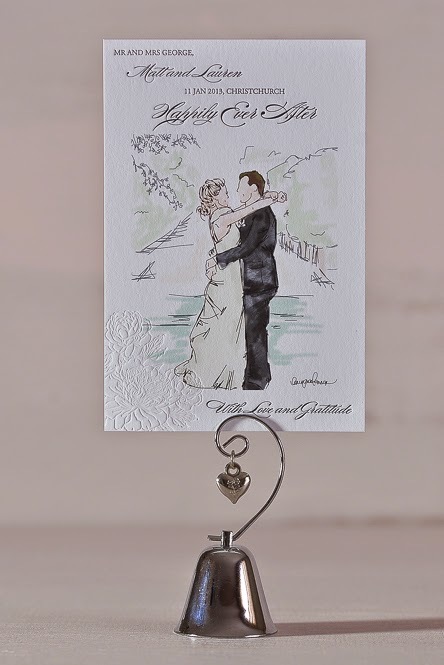 Most importantly, I love how the letterpress card with the illustration perfectly captures the feeling that is shared between Lauren and Matt. Congratulations again, newlyweds! Thank you for allowing Simply Letterpressed to be a part of such a special moment in your lives. Our Save the Date cards!! !